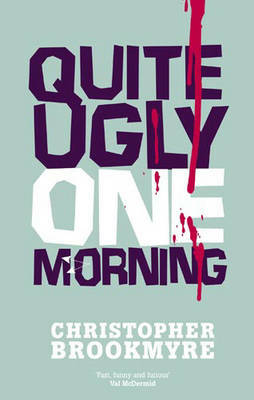 Any book that begins with one of the most gruesome book murders I have ever read that still makes me laugh. When the police officers investigating the murder of Edinburgh Doctor Ponsenby discover a crime scene with blood, gore and vomit realise that the overwhelming smell is not from the mixture of those but rather from a large ‘jobby’ they know that this is a crime that will come with hellish paperwork. Investigative journalist, Jack Parlabane, is quick to realise that there is a story behind this murder, a story that he wants to uncover. And just as much for the time he will get to spend with Ponsenby’s ex-wife as for the headlines. The villians in this piece are brilliantly written, it isn’t hard to despise Stephen Lime and his henchman Darren. Brookmyre introduces Parlabane for the first time and thankfully it is a character that returns in many of his novels. The first adventure out for him is worth reading. As is every one that follows as they are all equally as hilarious.